funtastic weekend | stesha rose. First I want to start off by wishing everyone in the United States of AMERICA, HAPPY INDEPENDENCE DAY!!! Hope everyone is having a wonderful long weekend. Since I am still up in Canada, I will not be celebrating the american holiday, instead I celebrated CANADA DAY!!!! and boy was it fun. 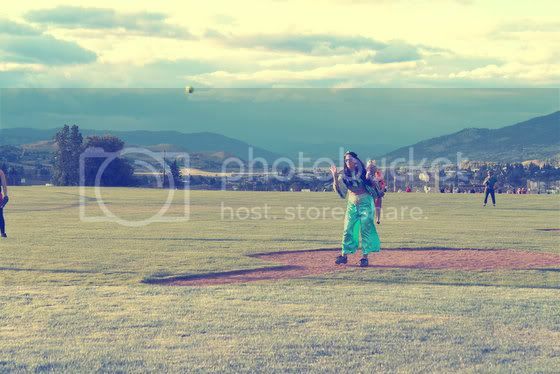 In my home town of Vernon, they have a softball tournament called FUNTASTIC, where approximately 210 teams come together from all over Canada and even the United States and play softball. 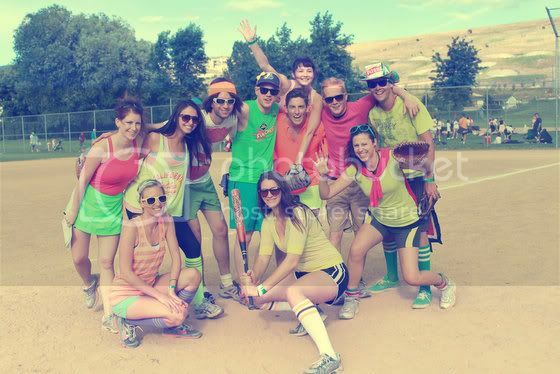 Most teams come dressed in costumes, we were neon colors. Not very many of us actually play ball but we pulled it together for the weekend. 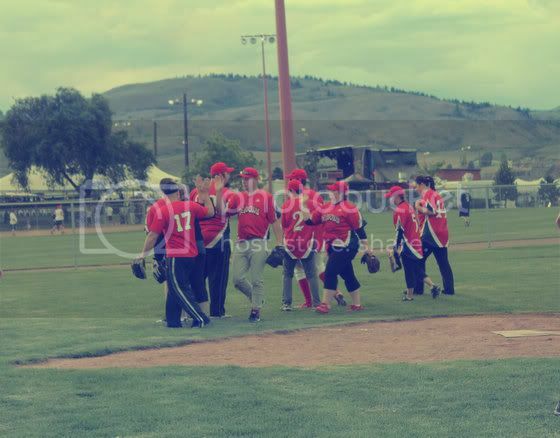 Our outcome was 1 WIN and 3 losses :( But its all about the fun!! My cousin had a team that also played. They were cartoon and Disney characters!! 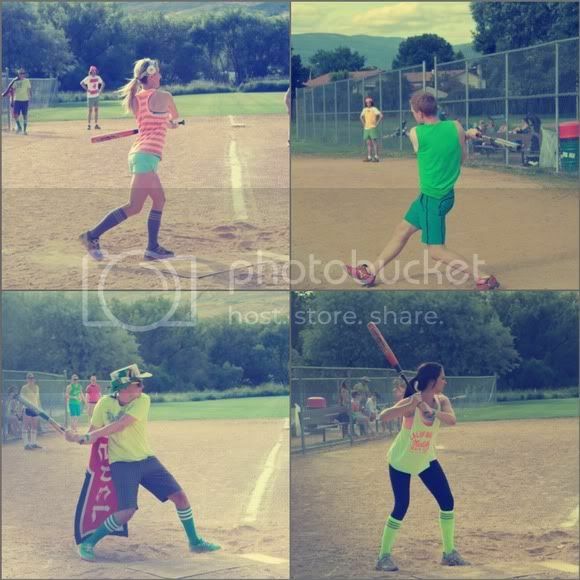 Now most of us were playing for fun, but since it is a tournament we definitely had some teams who where there to WIN!! 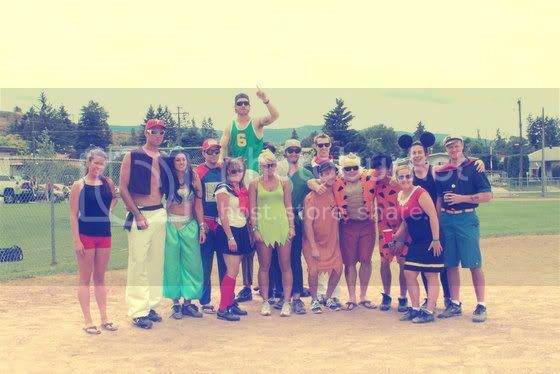 All in all, AMAZING weekend full of softball, friends, and great costumes!!!! The anticipation for next year is already building. Hi, Stesha! So sorry for the late reply. Thank you so much for your sweet comment on my blog! Thank you for following and yes, I'm def loving this blog friendship we're developing, as well!! Aw that looks like it was a lot of fun!! I just stumbled on your blog and it's amazing!! Happy Tuesday! 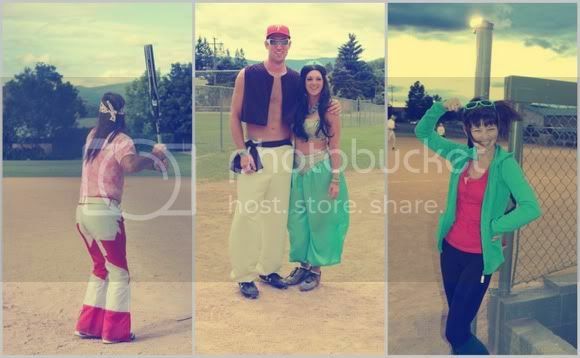 Oh goodness...I have never seen anyone wear costumes for a game. Totally cute. Great blog by the way. Currently following.